I would like to thank Georgia Tech president Dr. Bud Peterson, Vice Provost Berthelot, Vice President Carson, and Dean Baker. I would also like to thank the leaders of the Shenzhen government, the Virtual University Park, and the industry partners here today for your support of the Georgia Tech program. It is a unique program and, as I have learned, the first U.S. program in the Virtual University Park. I want to commend and thank all of you then for your efforts to support U.S. – China collaborative educational programs. Education is a great equalizing force in society. Regardless of gender, ethnic origin, or income level, we’re all on a more level playing field with a quality education, and with that education we will be able to realize our dreams, and expand our opportunities. It enables students to be more useful, and to lead more meaningful lives. The youth of today can use the power of education to confront, understand, and alleviate the suffering and the conflict in our society. Students who are educated will be able to face and tackle the challenges of poverty, ignorance and tyranny wherever they exist. 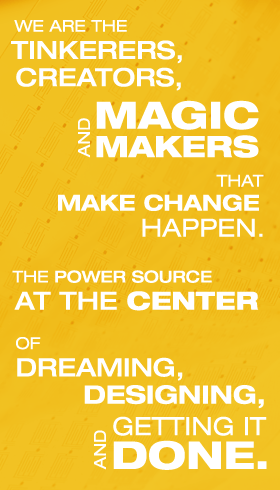 It gives today’s youth the opportunity to make great things happen. The Georgia Tech-Shenzhen Master of Science in Electrical and Computer Engineering program will provide Chinese students new access to the U.S. education system— a world-class engineering degree from a U.S. institution, with U.S. educators, right in their own back yard. Students who are the beneficiaries of a U.S. degree have a bright future because U.S. institutions are some of the best in the world. It is no wonder that companies driving the growth in China – the same ones that consistently seek out innovation, experience, and efficiency – choose to hire candidates who have studied at U.S. universities. They have discovered that the promise of opportunity comes from world class institutions and talented people. 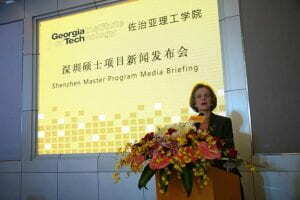 The Georgia Tech-Shenzhen program and other cooperative U.S. -China educational programs like it build the foundations on which we can deepen the relationship between our two countries. Both President Xi and President Obama understand this. It is why since President Obama first announced the 100,000 Strong Initiative in 2009, approximately 68,000 U.S. students have come to China to study Mandarin and to learn about Chinese culture. It is also why we have improved our visa procedures and reduced wait times at our new $300 million Consulate in Guangzhou, so Chinese students traveling to the United States can obtain their student visas quickly. There are now nearly 230,000 Chinese students currently studying at American colleges and universities, many of whom I am sure received their visas in Guangzhou. Together, both Chinese and American students are now learning each other’s languages and cultures and collaborating on innovative projects. An investment in cooperative education programs between the U.S. and China is an investment that pays dividends for all of us. These programs bridge language barriers, open lines of communication, and connect people in both immediate and lasting ways. Georgia Tech’s program here in Shenzhen is thus another terrific step forward in continuing to build relations between the United States and China. And what better place to make great things happen then here in Shenzhen and in the Pearl River Delta Region, the high-tech center of China. This is where private businesses, entrepreneurs, and students and educators are leading China on the path towards China’s new economic model -a path towards continued economic prosperity. It is an economic model that is centered on innovation, technology, intellectual property rights protection, and allowing the market to play a decisive role. By helping to provide the next generation of electrical and computer engineers – the leaders of China’s high-tech and innovative companies of tomorrow – Georgia Tech is playing a strong role in building both the United States and China’s intertwined economic future. And of course, our trade and business ties intertwine our two countries inextricably. Forty years ago, it would have been hard to imagine our current economic interdependence. In 1972 when President Nixon first made his trip to China our bilateral trade was less than $100 million a year. Investment in each other’s markets was close to zero. Only a handful of American jobs depended on trade with China. Now today, roughly $1.5 billion of goods and services flow between our two countries every single day. As many as 700,000 American jobs depend on producing goods and services sold to China. Of course millions upon millions of Chinese jobs are anchored by trade with the United States, which is now China’s largest export market. So people in both of our countries are benefiting from this deep and interdependent economic integration, an economic integration that now begins with the education of tomorrow’s future business leaders and engineers. I am thus very pleased that Georgia Tech has had the foresight to see that the future of China’s high-tech future economy is here in south China. 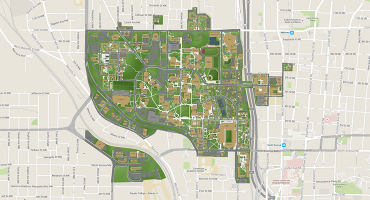 Georgia Tech has a long history of excellence, and many successful alumni: Jimmy Carter, former U.S. President and Nobel Laureate; John Young, an astronaut who walked on the moon and was the first space shuttle commander; and Mike Duke, the CEO of Wal-Mart, to name just a few. Students enrolling in the Georgia Tech-Shenzhen campus will soon be part of that history, and they will also represent its future because they are the legacy of what the educational collaboration between our two countries can create. The mascot of Georgia Tech is a type of bee known as a yellow jacket, and although yellow jackets are not native to south China, I look forward to seeing them buzz through Shenzhen. Last revised May 2, 2014.